From Admirals Club access to waived baggage fees, active duty military personnel receive certain perks when traveling in and out of uniform. Today, TPG Contributor Richard Kerr explores the benefits available to the men and women in the armed forces. Note that this article originally appeared on May 21, 2015. The last seven years of my life have never provided a dull moment. Since joining the Navy in 2008, I’ve had 12 different mailing addresses, driven my new wife and everything we owned across country in a Penske truck (which broke down in Wyoming), spent 275 days under water, visited 35 countries and moved to my current residence of Japan. I am writing this from a small Korean town, where I was sent last-minute for a two-week operation. So today, with Memorial Day around the corner, I’m gathering what I’ve learned from my experiences to share what I’ve found to be the best credit cards and travel perks with my fellow service members. The current Memorial Day holiday began in 1971. Photo Courtesy of Shutterstock. As covered before by Senior Points and Miles Contributor Jason Steele, the SCRA can provide wonderful benefits to those who joined the military in debt. The legislation limits the interest rate to 6% on credit cards for debt accrued prior to service entry. In practice, most card issuers waive a variety of fees in addition to lowering the interest rate on the account. There have always been and will continue to be people who report having their annual fee waived due to invoking SCRA benefits with a card issuer. In my experience, American Express is the only company that definitely waives the annual fee to all its issued cards when you submit a SCRA request. I haven’t had any luck with Barclaycard, Chase or Citi, however. With that in mind, if you’re currently active duty and can qualify for and responsibly use The Platinum Card® from American Express, you should absolutely carry that card in your wallet. Currently, you can earn 60,000 points after spending $5,000 in the first 3 months of account opening, but higher bonuses are available from time to time. The $200 annual airline fee credit, Centurion lounge access, waived foreign transaction fees, free Boingo Wi-Fi access and Priority Pass Select lounge membership really come in handy during all our travel. To receive all of these benefits with no annual fee is unreal! Because I view SPG Starpoints as the cream of the crop in loyalty currency, carrying the Starwood Preferred Guest Credit Card from American Express and earning Starpoints with no annual fee is very exciting, too. With the current offer, you can earn 25,000 Starpoints after spending $3,000 in the first 3 months of account opening. My other go-to card, which I put all my daily spend on, is the Chase Sapphire Preferred card. This card currently offers 50,000 bonus Ultimate Rewards points after you spend $4,000 within the first 3 months of account opening. You earn 2x points on all travel and dining, and there are no foreign transaction fees. I have always enjoyed Chase’s customer service, and I can get a whole lot of value out of my Ultimate Rewards points. 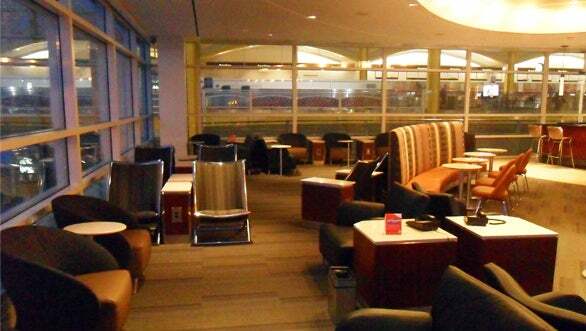 Free Admirals Club Access: Military on working orders and with an ID can access American Airlines Admirals Club lounges. I have taken advantage of this a few times and found the lounge staff to be particularly friendly and helpful. Washington National Airport’s newly renovated Admirals Club lounge. Waived Baggage Fees: I can’t tell you how much money this has saved me. There are official policies and rules for when airlines are supposed to waive fees, but over the course of seven years whether I am on leave or on orders, all I have to do is show my ID and the baggage fees disappear at check-in. USO Lounges: The United Service Organizations provide many lounges throughout airports which offer all kinds of goodies. They have food, drinks, pool tables, TVs, computers, game systems, sleeping rooms, showers and some of the friendliest, most awesome volunteers ever. Head to the lounge finder to locate a hangout for your next trip. Space ‘A’ Flying: Any active duty military or retiree can sign up for “space available” seats on most military flights. I have friends who have been to some very interesting places courtesy of the “Space-A” program. The drawback to Space-A is the unreliability of flight schedules, little advance planning and inconvenient routings. I look forward to my retired days when I show up to an air base and wait for a seat on the next available flight not knowing where I’ll be visiting. My return trip, however, will be booked with miles. C-17 Globemasters do not have first or business class … or even economy. Photo courtesy of Shutterstock. X Factor: I never travel in uniform, rarely discuss my job during travel and am not the type to whip out my ID at the first opportunity (like some of you Executive Platinum types!). When I have found myself in a pickle, though, explaining that I must be back to base by the time my leave expires has helped me get re-routed or given much better options to overcome the situation at hand. The X factor also describes my fellow passengers who go out of the way to buy a service member a beer or pick up the check of two returning Marines or soldiers from deployment. It is usually a fellow vet or a parent of a current service member — and always, always means the world to the beneficiary. My favorite duty and X factor story (not travel-related, but indulge me) of the last seven years was when I was an Ensign and got placed on funeral detail. We whined and moaned because of the practice time and the weekends it would take up, but we soon found out that those who did funerals fought over the duty. Handing a folded flag to a surviving veteran’s most special loved one — and then being practically dragged in the house and showered with food and gifts — was unfathomable. In the midst of grief, family after family only thought of thanking us for coming to honor their loved one. Government Rate: I always check the government rate for hotels when traveling. Asking for the embassy rate in other countries can also yield a significant discount. 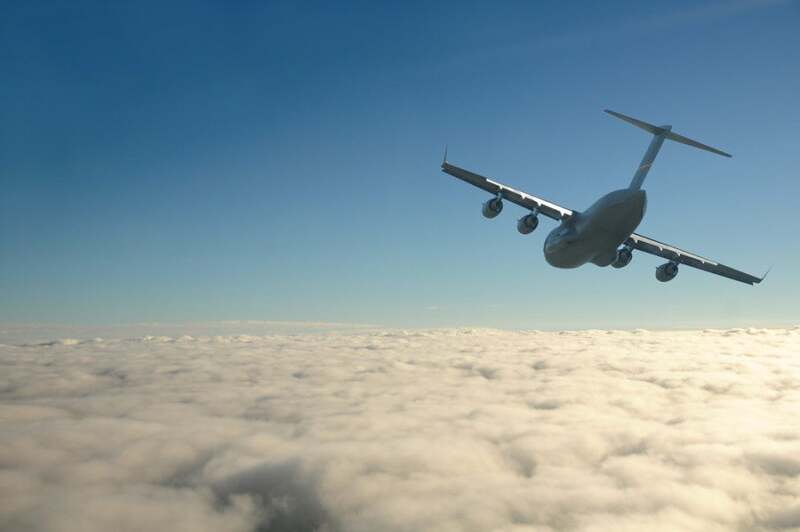 Most regularly traveled military business areas have the rate match the local per diem amount, which can be cheaper than the going daily rate. I find booking the government rate saves me money 80% of the time. There are some very gracious and amazing perks to take advantage of while traveling if you are active duty military. While all of these perks are incredible and my fellow service members and I greatly appreciate them, my personal opinion is that others are just as deserving. You could not pay me enough to be a police officer, EMT or kindergarten teacher, for example. Those jobs are way more terrifying to me than taking a submarine down to hull test depth. 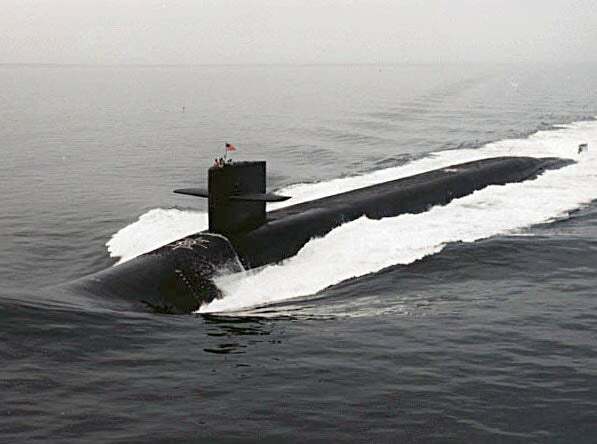 My first permanent orders were to a ballistic missile submarine for three years. Teaching kindergarten is still scarier to me. Yes, military life comes with its challenges and sacrifices, but we are well taken care of and learn to prepare for what we are asked to do. My sister moved to inner-city Houston to be a pre-K, then kindergarten and now high school teacher. Her stories are terrifying, and the one time I walked in her classroom I wanted to run away. Those who teach 25 tiny minds of the future deserve a 10% discount as much as anyone. In any case, I hope everyone enjoys their Memorial Day. Please stop and think about those who have been killed in the line of duty. More so, remember their families and loved ones left behind who must endure with a significant portion of their lives gone.